Tossing a salad becomes a snap while the more narrow bottoms helps ensure that no dressing escapes the greens. 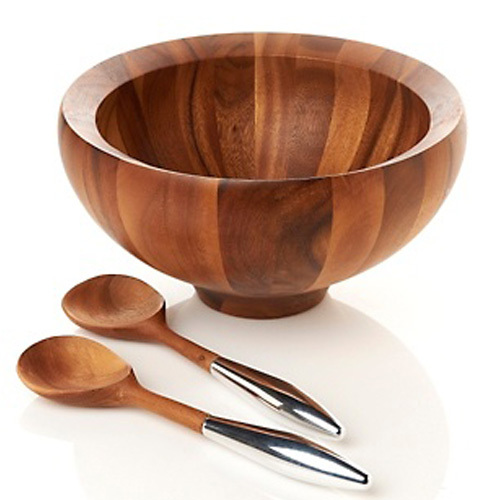 Naturally resinous, acacia wood will not absorb stains or odors, and the bowl can be washed with warm soapy water. Accompanying salad servers have acacia wood heads and sculpted handles made of signature nambe alloy. 14" Salad Bowl & Servers. Designed by Sean O'Hara.